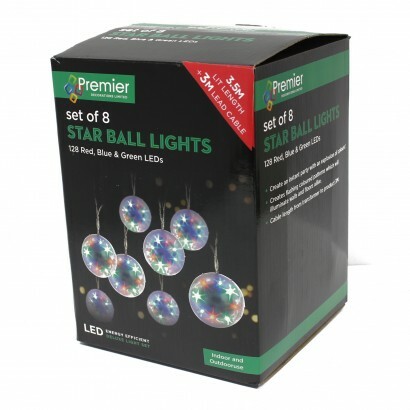 Bright, vibrant and full of character, these flashing star ball lights come to life with an explosion of colour! 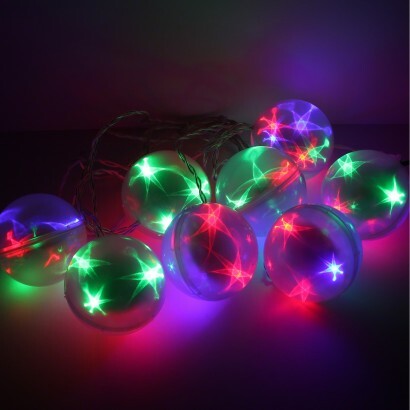 A string of 8 plastic balls are filled with 128 red, blue and green LEDs that shine through the holographic skin of each ball to form stunning star shapes. 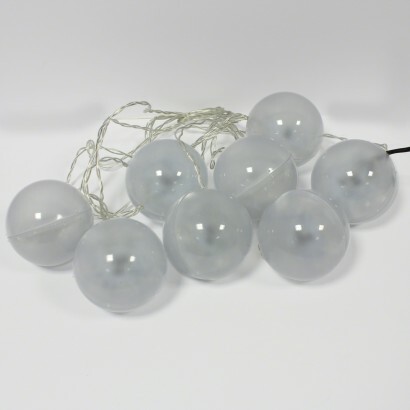 Perfect for parties, as Christmas decorations or even as sensory lights, these spectacular star ball string lights are suitable for use indoors or outdoors for instant party atmosphere!